President Vladimir Putin said the US is "making a colossal strategic mistake" by "undermining confidence in the dollar. "Putin has never called for restricting dollar transactions or banning the use of US currency. However, Russian Finance Minister Anton Siluanov said earlier this year that the country had to dump its holdings of US Treasuries in favor of more secure assets, such as the ruble, the euro, and precious metals. A leaked Hillarious Clinton email showed this to be a serious issue for the french and how they were worried it would do a tremendous amount of harm to their economy. The US also felt threatened to loose the petrodollar in this oil rich region. The wealth of these African nations would have depended on how much gold they had, instead of how many US dollars they trade. The great fear was that Libya might lead North Africa into a high degree of economic independence with a new pan-African currency. Gold would have flowed out from energy hungry customers in the west and into African and Middle Eastern nations. The US and its ally’s could not allow that to happen. Fearing a diminished influence by the western central banks, the French, UK and US then attacked Libya and utterly destroyed their infrastructure leaving them to be ravaged by years of terror from Al-Qaeda and other factions, with the guise of defending the helpless rebels who were opposed to such a brutal dictator. 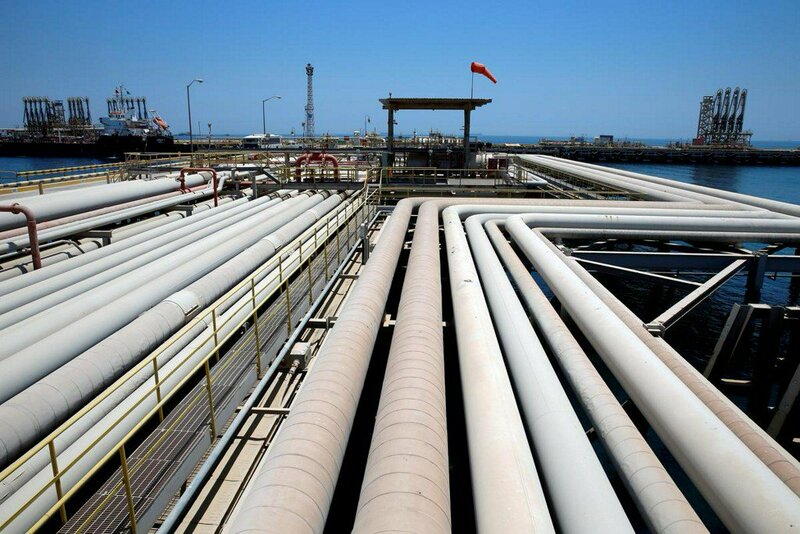 Two countries have stopped selling their oil in petrodollars, Iran and Syria. Both had major sanctions placed on them with Syria being invaded by outside terrorist organizationssupported, funded and trained by the US government. This not to mention another country slammed with US sanctions, Russia, has begun trading some of its oil for the Russian Ruble instead of the US Petrodollar. Is there a wonder why Obama has been adamant to create a rift between his administration and Putin’s? If you’ve been following the establishment media reports, you might have thought it was because Obama has a heart for the people of Crimea or because Putin was fighting the terrorists in Syria or the so called “moderate rebels” as they like to call them, a claim proven to be false. If many of these oil countries or even OPEC itself stopped using the petrodollar, no one would need to hoard it anymore. These massive quantities of US dollars would be sent back to the Federal Reserve in exchange for whichever currency replaces it. The value of the dollar would shrink dramatically and the Fed would be forced to take steps to shrink the money supply to stem massive inflation. The raising of the Federal Funds rate would mean that there would not be enough new loans created to pay off old loans. This is necessary, because there is always more debt in the economy than there is money, because money is created with interest attached, from the very beginning we are all indebted to a small cartel that sits behind the federal reserve. The defaulting of loans would lead to a chain reaction that would collapse the $700 Trillion derivatives market. In addition, the Fed wouldn’t be able to mindlessly pump money into the economy anymore to fund their welfare/warfare state such as with their current policy of quantitative easing. Chaos would ensue in American streets as people wouldn’t get their much needed food stamps and welfare checks. Occupy Wall Street would be a walk in the park compared to the riots we would see. The US dollar would hyper inflate almost overnight virtually eliminating the savings of millions of people. Is there any wonder why the US policy makers seems to be in a perpetual war with oil rich nations that go against their plans of world financial dominance? Yet, when their oil rich ally Saudi Arabia beheads its own citizens, en masse, or performs brutal war crimes against its neighbors, like in the recent war with Yemen to oust its leader, no one in the MSM barely notices. All this using US made warplanes to drop US made bombs on wedding parties and hospitals, they get no mention in the mainstream media or by the US government. I wonder what response they would have if Syria or Iran did the same thing? There is a way out of this mess, it will be painful, but it will be less painful than the one that will eventually happen as we kick the can down the road with more wars and destruction of lives on the other side of the planet, and quantitative easing here at home. The International Monetary Fund (IMF) has warned of a number of worrying economic indicators in 2019, with experts predicting a new financial meltdown in 2008. The International Monetary Fund warned of worsening global indebtedness and slowing economic growth, but this "unsatisfactory" situation is interpreted in several reasons factors, according to the newspaper "Guardian" British. Analysts say the beginning of the year is not always an accurate indicator, as major economies often begin to decline but return to take off and grow later, and this is noticeable in 2016. 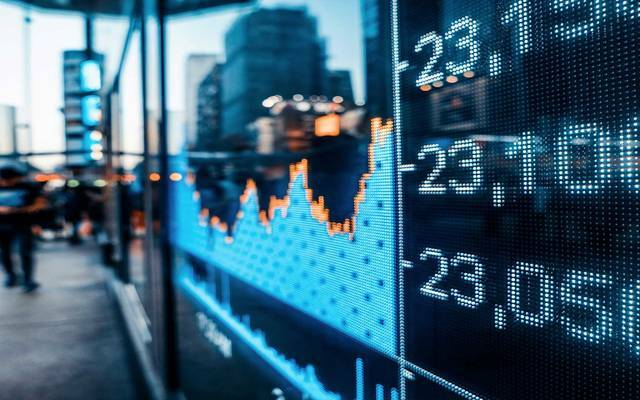 The global economy benefited from an important push after 2014 after oil prices fell to unprecedented levels, but this was at the expense of the oil-exporting countries, and this batch did not last long. The year 2017 and 2018 saw no encouraging economic performance, with the exception of the United States, where the Trump tax policy stimulated consumption amid encouraging market and job data. Things seem to be different in 2019, as corporate and consumer debt is expected to worsen in a number of countries, and governments in turn will not hand over the problem of high indebtedness. Among the indicators that remind us of the pre-crisis of 2008; the demand of central banks to raise the cost of borrowing, amid talk about the need to raise interest rates. The Central Bank of Sweden recently raised interest rates, asserting its intention to move forward in this direction. In the same vein, the US Central Bank announced its interest rate hike in December. Consumers in many countries, such as China and Britain, see this year as a difficult period and intend to reduce consumption, especially in non-core issues. The pre-crisis period witnessed a decline in real estate prices after consumers reached maximum borrowing and car sales fell impressively. As consumers intend to tighten their belts as central banks raise interest rates, companies are warned of "lean" times for contracting in 2019, according to the International Monetary Fund. Is bankruptcy the only way to rid the world of the debt crisis? Mubasher: Since 2008, governments around the world have been looking for less aggressive ways to reduce high debt levels that have been the main cause of the recent crisis. According to an analysis published by Bloomberg View, lowering interest rates to zero or less would make the borrowing service easier. Quantitative easing and central bank support made it easy to buy debt. Planned increases in asset prices have increased the value of loan guarantees and reduced pressure on banks and defaulting lenders. However, all these policies have avoided the need to reduce debt, but they have raised borrowing, particularly the demand for risky debt, as profit-hungry investors look further to returns. Since 2007, global debt has increased from $ 167 trillion ($ 113 trillion excluding financial institutions) to $ 247 trillion ($ 187 trillion excluding financial institutions). The ratio of debt to GDP was 320%, up 40% over the past decade. All forms of debt increased from household loans to corporate and government loans. Public debt had to rise dramatically to finance rescue efforts after the Great Depression. US public debt is approaching $ 22 trillion, up from $ 9 trillion a decade ago, up 40 percent from GDP. Emerging-market debt also increased. Non-financial institutions' debt in China rose from $ 2 trillion in 2000 (120% to GDP) to $ 7 trillion in 2007 (160% to GDP) to 40% Trillion dollars (250% of GDP). The share of non-financial US borrowing to GDP has exceeded 2007 levels and is approaching pre-World War II levels, while the quality of that debt has declined. Investment-grade bonds ( BBBs ), the lowest investment grade, now account for half of the investment-grade debt in the US and Europe, which is above 35% and 19%, respectively, a decade ago. Debt with a CCC rating of one degree higher than default is 65% above 2007 levels. The leveraged debt of the issuer, which includes high yield bonds and leverage debt, currently stands at $ 3 trillion, double the 2007 levels. Today, the world has no choice. On the theoretical level, borrowers can convert income to debt service. This is easy to say but difficult to implement, given the small amount of debt borrowed in the past decade for productive uses. As wages are not rising, families borrowed to finance consumption, companies borrowed to finance stock repurchases and acquisitions, and governments borrowed to finance current spending rather than infrastructure investments and strategic investments. A sharp cut in debt at the moment could lead to recession and make repayment more difficult. Reducing public debt, for example, would require governments to raise taxes and cut spending, which would be a brake on economic activity. In theory, strong economic growth and high inflation are able to reduce debt levels. Growth can contribute to enhancing the incomes and debt service capacity of borrowers. It can also reduce the ratio of debt to GDP, and real rates are negative (nominal rates below the level of rise) Prices) whenever inflation reduces actual debt levels. However, since 2007, attempts to increase economic growth and inflation have been modest successes. Monetary and fiscal measures, however drastic, remain limited. 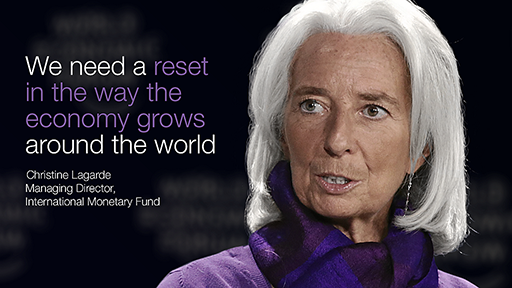 They can reduce the effects of economic imbalances but can also destroy long-term growth. Since the 1990s, economic activity has been driven by debt assistance. Credit intensities are on the rise, and now high levels of debt are increasingly required to create the same levels of growth. Efforts to reduce debt risk put the economy at risk of deflation instead of big growth. Finally, when religion is denominated in a national currency but carried by foreigners, countries can reduce that debt by devaluing their currencies. The problem is that everyone knows this. Since 2007, many countries have sought to devalue their currencies in order to strengthen their competitive position and reduce their commitments. This has led to a stalemate, limiting this option and making it ineffective. The only other way to reduce debt levels is default, and this can be done either explicitly - through bankruptcy or write-off - implicitly using nominal nominal interest rates to reduce the nominal value of debt, and this seems the most likely option in the long term. In the case of debt default, debt investors, banks and depositors suffer losses in savings and income. Banks and insurance companies are likely to become insolvent. Public services and pensions paid by family taxes and contributions will not be delivered. On the other hand, this will reduce consumption, investment and credit-related availability. Depending on the volume of debt written off, social and economic losses are likely to be reasonable. In 2007, monetary policymakers refused to take advantage of an opportunity to devise a slow and disciplined corrective process, as this would have led to defaults and loss of creditors. That would have allowed at least equitable sharing of losses with the protection of the most vulnerable, and instead leaders arrogantly assumed that their policy instruments would make debt problems disappear. Countries used interest rates on savings to finance rising expenses rather than debt reduction. Previous restructuring shows that early defaults help to heal the wound, minimize loss and facilitate recovery. The longer the delay, the higher the cost and the more necessary adjustments are made. With policymakers refusing the option of default, they are even less frank with themselves about options for dealing with unsustainable debt, in one way or another they have shifted costs to the next generation. In the starkest warning yet about the upcoming global recession, which some believe will hit in late 2019 or 2020 at the latest, the IMF warned that the leaders of the world’s largest countries are "dangerously unprepared" for the consequences of a serious global slowdown. The IMF's chief concern: much of the ammunition to fight a slowdown has been exhausted and governments will find it hard to use fiscal or monetary measures to offset the next recession, while the system of cross-border support mechanisms — such as central bank swap lines — has been undermined, warned David Lipton, first deputy managing director of the IMF. While the IMF projected solid, 3.7% growth in the global economy in 2019 in its most recent, October, forecasts, with the IMF set to release updated forecasts later this month, Lipton admitted that the growth outlook is being undermined by trade tensions, policy flaws and weakness in Asia. Countering the IMF's gloom, at the same conference, White House economic advisor Larry Kudlow, said that “there’s no recession in sight.” He urged economists to ignore the swings on Wall Street, even as many traders and some leading economists have pointed out that the new gloomy investor “narrative” could become self-reinforcing amid a renewed debate if the market leads the economy or vice versa. "Suddenly, the markets are reacting as if there’s a crisis of interest rate increases,” argued Yale professor Robert Shiller. With the latest round of US-China trade negotiations starting today, the Atlanta conference revealed widespread pessimism among economists about the chance of any rapid resolution to the current trade wars. “It is always possible that President Trump can wake up one day, reach out to his friend President Xi and decide to take yes for an answer”, said Adam Posen, president of the Peterson Institute for International Economics. That is unlikely to happen in the near future. Meanwhile, the IMF's Lipton argued that rising protectionism showed that governments urgently needed to develop better policies to help their populations adapt to global competition. However, the FT notes, "the magnitude of this challenge was illustrated by a range of economic research presented in Atlanta which showed that global trade competition is having a very uneven impact on the American work force, stoking inequality." Separately, MIT labor economist David Autor gave a speech in which he showed that rural workers in the US who fail to move to cities to find work may be making a rational decision because, without a college degree, higher-wage jobs in cities have become scarce. Instead, the main growth in lower-wage jobs is coming from what Autor calls “wealth work” — jobs such as baristas and animal therapists that serve the wealthy, something we have claimed for years (see "An Update On The Waiter And Bartender Recovery"). “It’s a good time to be young and educated,” he concluded, but there are few good choices for low-skilled older workers. World Bank President Jim Young Kim has announced he will step down early next February, three years after his term ends. "It was a great honor to be the president of this wonderful institution, full of enthusiastic and committed individuals dedicated to the task of ending extreme poverty in the world," said Jim Young Kim, in a statement. "The World Bank's mission is now more important than ever with the growing aspirations of the poor around the world and continues to increase problems such as climate change, epidemics, famine and refugees." In 2012, under the leadership of Kim and with the support of the Group of 189 Member States of the World Bank, the Foundation set two goals: "Ending extreme poverty by 2030" and "Promoting common prosperity". World Bank Chief Executive Christalia Gurgaiva is scheduled to serve as interim president from February 1. Kim is an American of South Korean origin, belongs to the Democratic Party in the United States, and was president of the World Bank in March 2012, with the support of former US President Barack Obama. Kim was born in Seoul, South Korea, in 1959 and moved to the United States in his fifth year of age. If we were a cynical thinking group, we could be persuaded that the World Bank just wrote a politically-charged 'mini-project-fear' report aimed directly at President Trump. The World Bank begins with its rather ominous title: "Storm Clouds Are Brewing for the Global Economy"
"The outlook for the global economy in 2019 has darkened." Which may be a little overdone since they only reduced their expectation for global growth to 2.9% this year, down from 3% in 2018 and a reduction of 0.1 point from its forecast in June, blaming slowing growth in trade and investment and rising interest rates for sapping momentum. Advanced-economy central banks will continue to remove the accommodative policies that supported the protracted recovery from the global financial crisis ten years ago.Also, simmering trade disputes could escalate.Higher debt levels have made some economies, particularly poorer countries, more vulnerable to rising global interest rates, shifts in investor sentiment, or exchange rate fluctuations. So - weather (climate change), trade tensions (Trump), and lack of inclusive policies (Trump?) are the problems with the global economy? Oh, and the war on cash needs to be stepped up to counter "informal economies." Hard-won central bank independence and transparency could erode in the face of pressures to finance government. Mounting debt could weaken commitment to strong fiscal and monetary regimes. As the global economic outlook darkens, the imperative of sustaining economic momentum will require making the most out of growth opportunities, avoiding pitfalls, and building buffers against possible shocks. Lessons from the past about debt, faith in public institutions, food security, and price stability can offer guidance in an increasingly challenging environment. So above all else, citizens of the world should support the independence of their central banks and leave the central planners to fix the storm clouds for you... "Leave them alone" in other words... oh and now is the time to stop your government from getting into more debt - good luck with that. 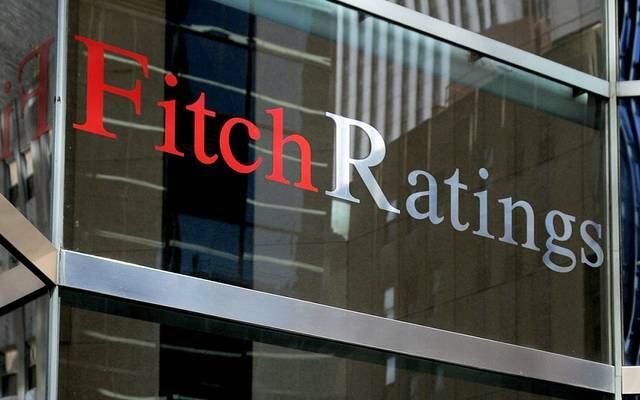 Direct: agency "Fitch" warned of the possibility of reducing the sovereign credit rating of the United States later this year if thecontinuation of the partial closure of the US government . The impasse between US President Donald Trump and Congressional Democrats over the financing of the barrier on the border between the United States and Mexico continues, pushing the partial closure of the government into its 19th day on Wednesday. James McCormack, head of the global rating agency, said in remarks to CNBC on Wednesday that he believed people were looking at the figures of the Congressional Budget Office. "If people get the time to look, they can see that debt levels are moving higher and US government interest burdens will move higher up over the next decade. He explained that there is a need for some kind of financial adjustment to compensate for it or else the deficit itself will move up and will be borrowing to pay interest on debt. In another event in London, McCormack said that if the government closes until March 1 and the debt ceiling becomes problematic after several months, there may be a need to start thinking about the policy framework and the inability to pass the budget. "It will also be considered whether this is in line with the US sovereign credit rating," he said. Direct : Russia got rid of $ 101 billion of cash reserves through converted into euros and yuan in the second quarter of last year amid the application of new US sanctions against the European state. 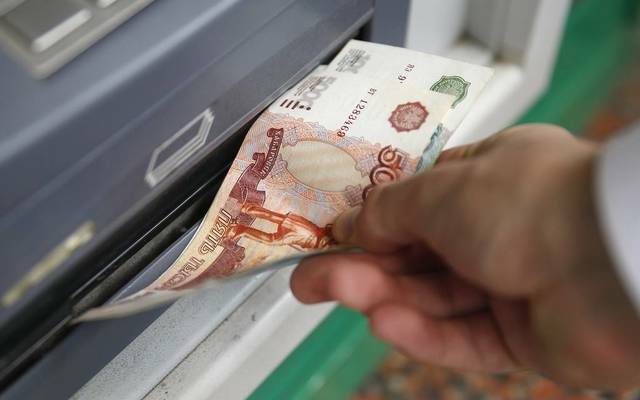 The Russian central bank announced Wednesday that it converted the equivalent of 44 billion dollars into the European currency and its equivalent to the Chinese yuan in the second quarter of last year. The statement added that there are about 21 billion dollars invested in the currency of the Japanese yen. The Chinese currency accounted for 15 percent of Russia's total cash reserves in the second quarter, 5 percent higher than the first quarter, the data showed. The United States imposed heavy penalties on Russian companies last April, causing damage to the status of the Russian ruble and raising concerns that there are more restrictions can be applied in the coming period. The data confirmed that Russia's total holdings of US Treasury bonds fell by $ 81 billion in May and June. By 10:05 GMT, the Russian ruble fell 0.6 percent to 67.0446 rubles against the dollar. Mubasher : Investors' demand for US Treasuries fell last year to its lowest level in a decade. According to Bloomberg data on Wednesday, with securities and securities offered by the US Treasury Department through $ 2.4 trillion in tenders last year, investors made offers equivalent to 2.6 times for bids, the lowest rate of coverage in 2008. The decline in the demand coverage ratio compared to bonds offered, which is an indicator of the demand for treasury bonds even as the government debt return to its highest level in several years in October, before falling to its lowest levels in December. The drop is an early warning that demand for Treasury bonds may not be in line with the increase in US debt due to tax cuts for the administration of President Donald Trump. Expectations are that the deficit could soon jump to $ 1 trillion and continue for years to come. The first auctions in 2019 did little to eliminate these concerns, with demand for a three-year sale of $ 38 billion worth of Treasuries falling to the lowest level in the past decade at an auction on Tuesday. 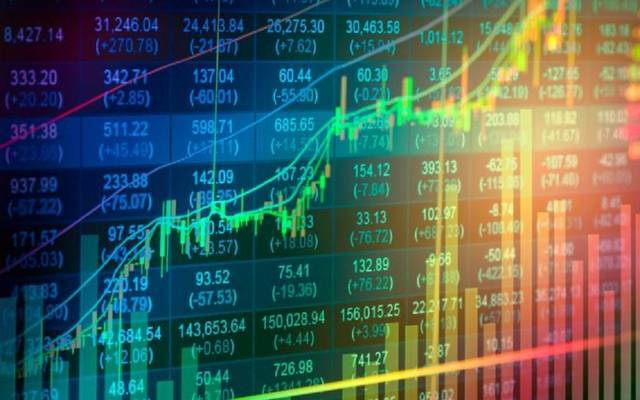 The demand coverage at the auction yesterday for the sale of ten-year Treasury bonds worth $ 24 billion to about 2.51 times, in line with the average for the past year to maturity. For anyone who does even a modicum of research, the 2008 financial crash was not just a cyclical 'bump' in the credit cycle, but an actual death event for the entire financial system. And this is primarily why central banks like the Fed, ECB, and BOJ have had to constantly fund their 'life support system" rel="">support patient' with endless amounts of QE, Zero percent Interest Rates, and even Negative Rates. Deutsche Bank is 'technically insolvent': Expert from CNBC. Since around 2013, Asian and Eurasian economies such as Russia, China, India, and even Kyrgyzstan have been preparing for a post Petrodollar world, and one no longer controlled by the Western central banks. And even in Europe, nations such as Germany, Austria, and the Netherlands have all done the unprecedented move of recalling their gold reserves back from the U.S. into their own vaults. But while those who pay attention to the alternative financial media have heard numerous times that we are preparing for a great 'Global Financial and Currency Reset', only trickles of information has come from leaders on the reality of this paradigm shift. 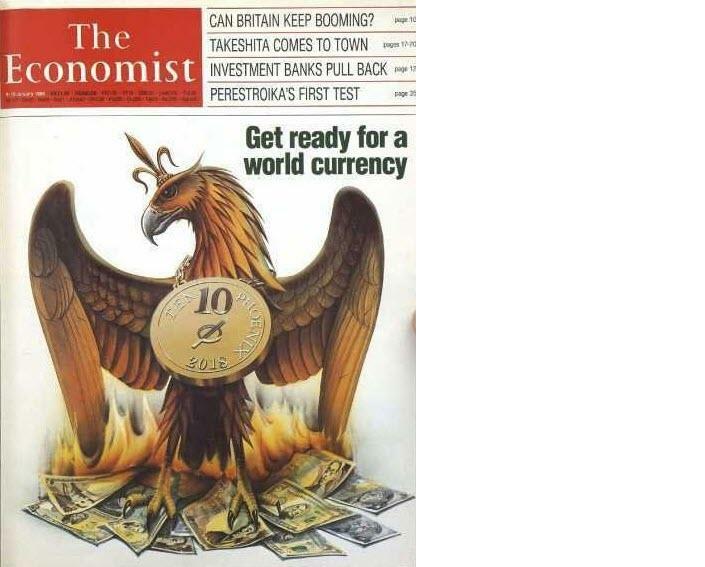 On June 21 the head of the UK's central bank (Bank of England) gave a speech in which he emphasized that the global financial system is moving rapidly towards a 'New World Order', which in this case is political speak for the global currency reset. The race is definitely on as to who will be dictating the terms of the reset. Everybody has their eyes on China and Russia, thinking they join forces to form the dominance in the global economy to push out the dollar and elevate China to world reserve currency status, or elevate a combination of China and Russia to world reserve currency status with a gold and/or silver backing in this new monetary system, perhaps even with a return to gold and silver via a Chinese Gold-backed Yuan and a Russian Silver Ruble. Well, it’s not only the East that is actively working on the global reset. England seems to frantically be in the race as well. Yesterday, Bank of England Governor Mark Carney gave a speech, and it wall basically all about the coming reset. That phrase that we all can’t stand – the “new world order”. Its a very long, super boring speech, but I’ve read between the lines, and I want to show you some of the thing he has said, so that you can come to your own conclusions as to what is going on. The Bank recognises that a new economy, a new world and new demographics demand a new financial system. While we prepare for great change, we will be guided by one constant: our mission to promote the good of the people we all serve. This infrastructure must be overhauled now that the economy is on the cusp of the fourth industrial revolution and our demographic challenges are intensifying. And rebalancing of the global order is proving as dramatic as it was in Montagu Norman’s time. Such profound changes demand a new finance. The average citizen will NEVER receive warning from either governments or the financial powers unless they are able to read between the lines in speeches such as this one on what is being worked on, and what is coming. Because all one has to do is remember back in 2008 when CNBC went out of their way to tell us how solvent and stable Bear Stearns was, only to see it vanish forever just four days later, with Congress having to push through a bailout under the guise that this crisis could bring about the institution of Martial Law. Buti . I'm reading this article again 8 months after you posted it. Once again . Is something being pushed through but as a National Emergency and not " under the guise that this crisis could bring about the institution of Martial Law." Chinese companies will soon be able to get paid in yuan instead of dollars when selling products through U.S. online sites, says Reuters. The New York branch of the Bank of China says that it's system, e-MPay will be able to facilitate such payments starting this year, according to Reuters which cited China's Xinhua news agency. At a time when China is challenging the U.S. for the title of the world's biggest economy, the two nations are embroiled in a trade war, and the ripples in China's economy can hobble corporate giants like Apple, payments in yuan vs. dollars could give a boost to smaller Chinese businesses selling on U.S. based portals. The new payment capabilities will “facilitate trade finance for e-commerce players,” Xu Chen, president and CEO of Bank of China USA said according to Xinhua. The Bank of China has previously faced allegations of money laundering and Xu said that artificial intelligence and other cyber security safeguards will ensure that the new e payment functions abide by U.S. regulations. Just when thing looked a little better for us. With those crazy members like AOC we are going to be on the shot end here. We are being primed and propagandized to desire this inevitability! Coming just a day after the Saudis threatened to end the Petrodollar, Ocampo's op-ed is well-timed to say the least. José Antonio Ocampo is a board member of Banco de la República, Colombia's central bank, professor at Columbia University, Chair of the UN Economic and Social Council’s Committee for Development Policy, and Chair of the Independent Commission for the Reform of International Corporate Taxation. He was Minister of Finance of Colombia and United Nations Under-Secretary-General for Economic and Social Affairs. He is the co-author (with Luis Bértola) of The Economic Development of Latin America since Independence. At the end of the Second World War, after the signing of the Bretton Woods agreement, which exempted the US dollar from compulsory gold coverage for any national currency, and considered that the paper dollar is the main international currency. After the establishment of the International Monetary Fund and the World Bank for Reconstruction and Development, After these radical measures on the global financial and economic level. The majority of the countries and peoples of the world, including the majority of the leaders of the liberation movements in the former colonial countries, hoped that the United States, which did not reach the war on its territory will play the role of the good shepherd of the collapsed world economy, and help different countries and peoples to the reconstruction and prosperity and Is in line with the economic interests and national security of America itself. But the United States has done exactly the opposite, and has taken advantage of the excellent international center it has acquired to become a "bully" of the whole world. He uses the reconstruction process to plunder people, countries and weak states. The developed countries "share" their successes and loot them too. He could not do that. The great American capitalist monopolies control not only the fundamental joints and arteries of the global economic and financial cycle, but also the smallest economic and financial affairs of any country to force them into the American-Jewish imperialist schemes and programs. Otherwise, they were subject to bankruptcy, economic collapse, unrest, unrest, coups and wars. .
From the time of Harry Truman to the reign of Donald Trump, all American governments, Democrats and Republicans, used the policy of "aid" and dollar loans, directly or by the International Monetary Fund and the World Bank, to impose and tighten global hegemony over the world. 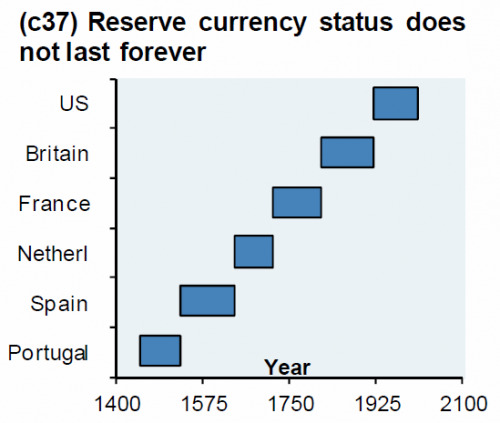 As a substitute for gold, the dollar has become a major "reserve currency" in the central banks of various countries, based on the national currency of the country concerned. And reflected the golden rule for measuring the currency. Gold itself is measured in dollars, not the dollar measured in gold. This is why not only the gold producing countries at the mercy of the dollar, but all the countries in the world that have gold reserves to cover the national currency became at the mercy of the dollar, which has become possible as the American Jewish tycoon decides to raise or reduce the price of gold in dollars, On the exchange rate of the national currency of each country possesses gold reserves, and the consequent rise and inflation, or raise the price of the national currency artificially and hit the foreign trade and national production of different countries. In short, in the last half century after the Second World War, the dollar has become a nightmare for the entire world economy, and various countries have been working hard to get rid of this nightmare. Even before Russia awoke from the shock of the collapse of the Soviet Union, the European Union issued in 1999 the euro currency, which became the second international currency after the dollar. The European Commission, a semi-government of the European Union, is working to increase the role of the euro in the purchase of oil, gas and mineral ores for Europe. The EU is the world's largest buyer of oil and gas, buying annually 300 billion euros and 85 percent of payments are in dollars. The situation is similar to the purchases of various raw materials and financial markets. "Most of the long-term contracts for energy imports are in euros, which shows the instability of the situation and does not reflect the role that the euro should play globally," said EU Energy Commissioner Miguel Arias Canetti. The European Commission has begun to abandon the dollar and has appealed to various EU member states to impose the use of the euro on energy trade, as in the domestic markets of European countries. And advised participants in the gas market to immediately move to the Euro agreements as written by Deutsche Welle.The European Commission is conducting surveys on the food, mineral and energy markets of various European countries to find out what hinder the euro's role in the market. Do the interests of the EU and Russia match the position of the dollar? In September 2018, the president of the European Commission began talking about the need to increase the role of the euro. A little earlier, the Russian authorities began to talk about the same thing. Will Russia give up the dollar? The Russian government is talking about a plan to remove dollarization from the Russian economy by $ 1.6 trillion and call on major industrial institutions to abandon the US currency. The program of Russian Foreign Trade Bank President Andrei Kostin has turned dollar bank accounts into other currencies, supported by the Finance Ministry, the Central Bank of Russia and President Putin's personal support, Kostin said. Russia is the largest exporter with a positive balance of 115 billion dollars (2017). Washington Post wrote that dollar bank accounts fell to 68% last year. "A growing number of countries are not only in the East but also in Europe," Kremlin spokesman Dmitry Pskov said. 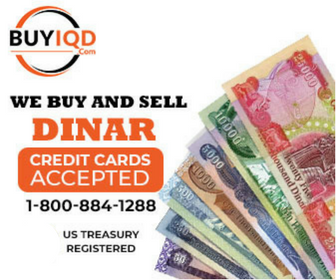 "They are beginning to think about how to reduce dependence on the US dollar. The country concerned could be rescued if it did so as soon as possible. " America has looted the world by dumping it into dollars that are no more than the price of ink and paper. Now the paper dollars to America are beginning to bounce back. The Trump administration is working to foment crisis and war projects in the Middle East, Ukraine, the Black Sea, Southeast Asia and Venezuela, in order to remove the risk of the dollar's financial consequences awaiting America. But the dollar is gripping the dollar, and nothing will prevent it from sweeping financial markets and the economic, social and political life of America. It is only a question of time.